When you think of car brands, some key players, such as Ford, BMW, Toyota, and Chevrolet, probably come to mind. These companies became prosperous in the American market for their iconic concepts, apparent in their models. Although some companies were bought out or failed to succeed, the brand lives on. Every company can appreciate where they are today by looking at how they got there. Let’s take a look at ten popular car brands to see how they got their start in the industry. 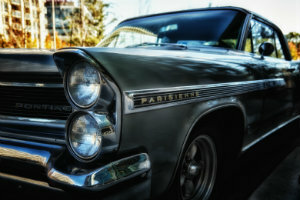 It may be interesting to know that not every brand started off making automobiles. We will end with some knowledge on National Dispatch, a leading provider in the auto transport industry. Henry Ford transformed the automobile industry with his innovative attitude. In 1903, he founded the Ford Motor Company, which would become a worldwide entity for the design, manufacture, and production of automobiles. Ford’s first car, the Model A, was assembled at a plant in Detroit. It was not a raging success, but profit was sure to come with later models. The Model T was an affordable, reliable, and efficient vehicle. Within ten years, half the cars in America were Model T’s. Ford created the world’s first moving assembly line for cars, which would change the industry forever. This invention allowed Ford Motor Company to produce one Model T in under thirty seconds. Ford became the second largest family owned company in the world. In the 1960s, the Mustang was introduced, creating the line of “Pony” cars. To answer the demands for an environmentally friendly automobile, Ford introduced electric and hybrid models. The Ford Motor Company continues to be a worldwide leader in the automotive industry, selling millions of cars every year. Let National Dispatch handle the shipping of your new or used Ford. Mercedes-Benz is a global automaker, known for producing quality luxury vehicles. In 1883, Carl Benz established Benz & Cie to manufacture automobile engines. Shortly thereafter, he began producing vehicles, starting with the Velocipede, the first mass-produced automobile. Benz continued to progress by manufacturing a car with a four-wheel independent suspension. Benz’s company merged with Daimler in 1926. 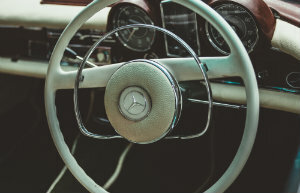 The classic Mercedes-Benz logo, consisting of a three-pointed star, was born. 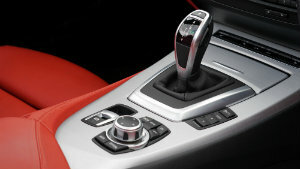 It began to be implemented on all cars produced from that point forward. The first vehicle to bear the logo was the 35-hp model, produced in the late 1900s. A true classic, the 300-SL Gull Wing Coupe, was produced in the 1950s. It is a car collector’s dream, featuring unique gull wing doors. This was the fastest production car at this particular time and marked the start of the SL-class. For much of the 70s, 80s and 90s, Mercedes-Benz focused on the development of better safety systems. The conical-pin door lock was introduced, which prevented doors from opening in an accident. In addition, crash testing programs, the anti-lock braking system, pre-safe system, and attention assist were popularized. Mercedes-Benz went on to produce other popular models, such as the C-Class and E-class. Another popular name in the automobile industry is Chevrolet, known for producing American-made cars and trucks. Chevrolet was founded in 1911 by Louis Chevrolet and William C. Durant. Two years after its founding, the famous bow-tie emblem was created. This logo became a staple for the brand. Durant eventually gained sole ownership over the company after Chevrolet sold his portion. Chevrolet introduced its first model, which was the Series C Classic Six. Almost three thousand cars were sold the first year. Chevrolet was bought by General Motors. Around this same time, Chevrolet introduced its first trucks. Chevrolet produced its one-millionth vehicle in the 1920s. In the late 1920s, Chevrolet surpassed Ford in sales, becoming the top seller of both cars and trucks. This position for first place went back and forth between the two brands over the years. The 1950s were a hit for many models, including the Bel Air, Impala, and Corvette. The Chevrolet Camaro came into the spotlight in the late 1960s to compete with the Ford Mustang. 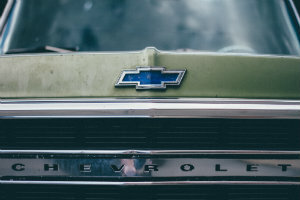 Many of Chevrolet’s ads built the company up to be an iconic American brand through such campaigns as “Heartbeat of America” and “American Revolution”. However, Chevrolet did not remain just in the United States, it became international, establishing its first international plant in Denmark. Dodge is known today for its wide range of vehicles, including minivans, trucks, muscles cars, and SUVs. In 1902, the Dodge Brothers formed their first automotive contract with the Olds Motor Works Company for transmissions. They soon became known as experts in the automotive parts industry. Henry Ford was even a customer of theirs for ten plus years. In 1914, the first Dodge automobile was made. Within a couple years, it was second in sales, behind the Ford Model T. In the early 1920s, the Dodge Brothers passed away, but they left millions of their vehicles on the road. Chrysler scooped the company up. A new logo was produced, the Ram, which stood for power and boldness. Around this same time, the company entered an agreement with the Graham Brothers to start building trucks. 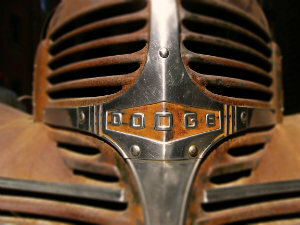 In the 1940s, Dodge’s attention turned to the production of military trucks and vehicles for the war. Fins were the trend in the 1950s. The Hemi Engine, one of the most famous engines, also came out around this time. In the 1960s, the Dodge Charger was introduced, grabbing the attention of all muscle car enthusiast. Dodge continued to roll out quality vehicles, with the Caravan, which would become a best-selling minivan, in the ’80s and the Durango, a SUV capable of seating eight, in the ’90s. BMW is known for manufacturing the “Ultimate Driving Machine”. The company produces sports, luxury, and family vehicles. BMW gained success in the airplane industry in the 1900s, but shifted its attention to the production of motorcycles in the 1920s. In 1928, the company began producing automobiles. The first model introduced was Dixi and soon after was the Wartburg model. Throughout the 1930s, BMW produced the 303, 326, 320, 329, 327, and 328 Brescia Grand Prix. The attention soon shifted to military vehicles for the war effort. After the war, the BMW 502 V8 Super hit the market. The BMW muscle 507 car brought in the largest source of revenue for the company. BMW Motorsport established its own museum for aircraft engines and cars. The 5 series, 3 series, 7 series, and 6 series were introduced, which were a huge success. In the 1990s, BMW entered the United States and established a plant in South Carolina, which would become BMW’s largest factory in the world. BMW acquired the British Rover Group, gaining ownership over Land Rover. The BMW Z3 gained popularity after the appearance of the car in the 1995 James Bond film, “GoldenEye”. In the 2000s, BMW took over MINI and Rolls Royce. The company introduced two new models, the 1 and X series. Now, BMW is one of the best-selling luxury automakers in the world. Gone, but never forgotten. The last Pontiac ever produced rolled off the assembly line approximately seven years ago. Although the vehicles are no longer in production, they are still in the hands of classic car collectors around the globe. General Motors created Pontiac in 1926, naming it after an Indian chief. In the 1930s, Pontiac’s manufacturing was combined with Chevrolet, believed too weak and small to survive the Depression alone. Back on its own, Pontiac became the car for the middle-class. Pontiac was priced between the highest-priced Chevrolet and the cheapest Oldsmobile. The brand did not aim at performance at this time. They wanted to encourage buyers to purchase a more prestigious brand. In the 1950s, trouble hit by competition from other brands. This resulted in new management. Thus, changes were made. Pontiac models, such as the Catalina, were seen on the NASCAR tracks. The 1960s models had compact, finned body styles. The Firebird and GTO came out in the late ’60s, which were milestones for the brand. The Grand Prix, a mid-priced, semi-luxury coupe, brought in sales on into the 1980s. The TransAm became popular with the production of “Smokey and the Bandit” in 1977. The last Pontiac was produced in 2010. General Motors turned its focus to its other companies: Chevrolet, Buick, Cadillac, and GMC. Nissan Motor Company was established in Japan in 1933. Nissan took over the manufacturing of all Datsuns, which first started being built in 1914. The Datsun Type 15, which was manufactured in the late 1930s, was the first mass-produced Japanese vehicle. Nissan had a major impact on the United States market as its automobiles started being imported in the 1950s. 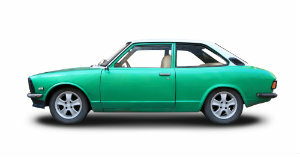 Datsun introduced the 1000 Sedan, which was soon replaced with the 1200 Sedan. In the late 1950s, Datsun produced its first compact pickup. Nissan established a branch in California and also introduced the 1200 Roadster at this time. Nissan produced its first off-road SUV, the Patrol. In the late 1960s, the 2000 Roadster was made, which was the first Japanese production sports car with a five-speed. The 1970s proved to be a successful decade for the brand. The Datsun 1200 Coupe was manufactured, which became the best-selling car at the time and a star on the tracks. Nissan reached the one-millionth mark in sales in America. By 1975, Nissan was the top United States vehicle importer. In 2003, the company’s first full-size truck, the Titan, was introduced. Nissan continues to be a prosperous international automotive company. Nissan even came out with the world’s first mass-produced, completely electric, zero-emission vehicle named LEAF. Jeep has been a producer of legendary SUVs and Crossovers for over seventy years. The military needed a vehicle, so a working prototype was requested on a short deadline. Two companies, Willys-Overland and American Bantam, rose to the challenge. Bantam gained a contract with the army, but due to the company’s small size, Willys-Overland and Ford produced the cars. After the war, Willys-Overland wanted to build a vehicle for farming. The company did just that with the CJ-2A model. Throughout the 1950s and 1960s, Willys-Overland continued to produce vehicles for the general public, as well as for military personnel. Under the ownership of Kaiser Motors, the company produced the longest production run model, CJ-5. In 1970, American Motors Corporation bought Jeep from Kaiser. The Jeep Cherokee hit the market and to this day, remains a top-rated compact SUV in the United States. Financial struggle hit the company in the late 1980s, resulting in it being put into the hands of Chrysler Auto Group. The sibling to the Cherokee, the Jeep Grand Cherokee, came out in 1993. The primary difference being in size. Jeep continued its trend in manufacturing popular vehicles with the Jeep Commander, Patriot, Compass, and Liberty. Soichiro Honda established Honda Motor Company in 1948. He aimed to build it into the world’s top motorcycle maker. The first motorcycle, Dream D-type was produced one year later. It became very popular, because it was easy to ride and operate. Honda established its first branch overseas in Los Angeles, California. This would be the start of the company’s worldwide success in the automotive industry. Honda started producing automobiles. In the 1970s, the company launched the Civic, three-door hatchback and Accord hatchback. Honda later produced the sedan version of the Accord. The Accord became the best-selling passenger car in America. Americans purchased over twelve million of them. Honda went on to produce other popular models, such as the Acura in the 1980s and a hybrid-electric vehicle, the Insight. The Insight was the first hybrid available in North America, and it remained the most fuel efficient, non-plug-in car for the next seventeen years. Honda achieved much fame over the years. 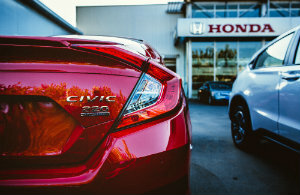 The 2016 Honda Civic was named the North American Car of the Year. In 1957, Toyota Motor Sales Inc. began. The Toyopet Crown was Toyota’s first full-scale passenger vehicle, as well as the first Japanese car to be exported to the U.S. While the car was a success in Japan, it was overpriced for the American market. Thus, it was discontinued. The Toyota Corona was produced, which was the first popular Toyota in America. Sales soared. By the late 1960s, Toyota was the third best-selling import brand in the United States. The Toyota Corolla became the world’s all-time best-selling passenger car. Millions were sold in hundreds of countries across the globe. In the early 1970s, Toyota sold its one-millionth vehicle. Toyota surpassed Volkswagen to become the top import brand in America. By the mid-1980s, Toyota became the first import automaker to sell more than one million vehicles. Toyota was achieving milestones and becoming established as an international manufacturer of quality automobiles. The company has multiple plants across North America, alone. To name just a few, there are factories in California, Alabama, Texas, and Kentucky. Toyota also made strides for a more eco-friendly model with the introduction of the Prius, a fuel efficient hybrid. National Dispatch is a nationwide auto transport company with a company-owned fleet. 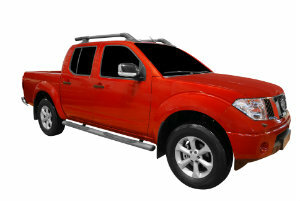 We have multiple years of experience in the car shipping industry. We have an extensive customer base consisting of auto dealerships, vacationers, car collectors, corporations offering relocation packages, construction teams, military personnel, and more. Our corporate headquarters is based out of Cocoa Beach, Florida. However, we transport vehicles all over the United States. We offer an insured, licensed, and expedited auto transport service to ensure that your car reaches its destination incident-free, as soon as possible. National Dispatch provides door-to-door service, meaning the driver will do the very best to bring the car directly to you. Not only do we offer the typical open auto transport option, we also offer enclosed auto transport. If you are the owner of an exotic, classic, or luxury model or simply want your car to travel with a little added protection from the elements, then enclosed auto transport is the way to go! For a free, instant online car shipping quote, go to our website at https://www.nationaldispatch.com/ or call us at 800-321-2051.